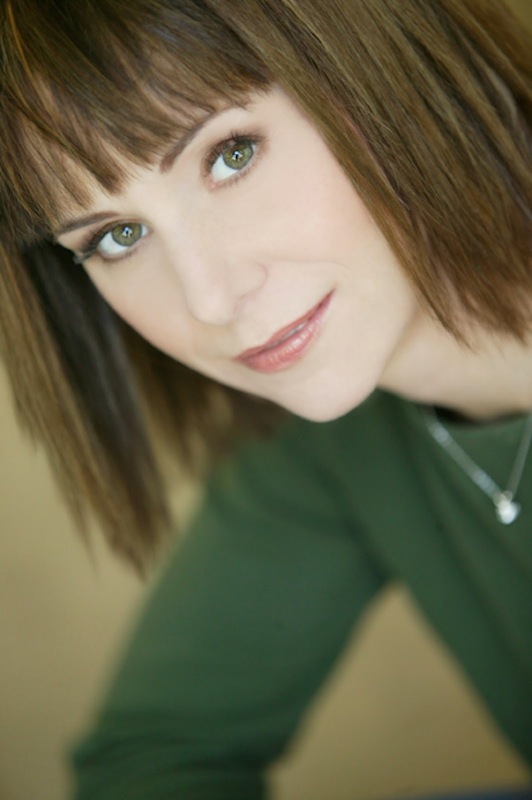 Prolific Broadway singer/actress Susan Egan will perform a benefit concert on March 1 at Arcadia High School. She talks about the concert and other career tidbits in our chat below. Tell me about some of the wonderful things you are doing in the concert on March 1. You are singing with a children's chorus I've been told? Yes. The program on March 1 includes songs with the Arcadia High School theatre company. I travel around the world and perform concerts – and what I love in addition to performing concerts, is arts outreach. But what I like most, is instead of just doing a master class and doing a concert I like putting the two together. What you would instruct students to do, in a class, and what you would do to rehearse a concert are very similar. From my experiences, I can often give students more insight, helping them understand the song better. For example, during the rehearsal for the March 1 concert, the Arcadia High School students and I had a long conversation about “Seasons of Love” from Rent and it enhanced their performance. The students and I are doing four songs together. They will also be singing two songs from their upcoming production, Curtains. I saw you do Putting It Together with Carol Burnett a while back at the Taper and in the non-musical play Amy's View. That showed a great display of versatility on your part, as the two were like night and day. Did you enjoy doing these roles? Talk a little about that. Yes, they are very different. Putting it Together is a musical revue of Stephen Sondheim -- with a lot for an actor to mine out of the material. I performed opposite Carol Burnett – who is one of my most important role models. I went to college on a Carol Burnett scholarship, so it was even more meaningful to work in a show with her. Working with her was an experience beyond any and all of my expectations. And knowing her – I am always reminded to continue to be generous and gracious to the performers who are in the next generation. That is why I like working with students so much. It reminds me to think about where I’ve been and how I can help them in where they are going. I did Amy’s View with Carol Lawrence. In college, I did a lot of plays -- Shakespeare, Chekov, Ibsen, and Shaw -- so this was a lot of fun to get to do. If you can sing, you often end up in musicals because they run for six years, but I love doing plays when I get a chance. And talk a little about Belle in Beauty and the Beast as well. It’s been 20 years since the opening – so it’s time to reflect. The students that I am working with weren’t born when the show started – and the show and cast album, still speak to them. It was my first first Broadway show, and it was the first Disney show. Looking back, it is easy to see that Disney ended up starting a new golden age of Broadway musicals. After Beauty and the Beast, they revitalized the New Amsterdam Theatre, brought The Lion King to Broadway – and ushered in an entirely new, younger, family audience. 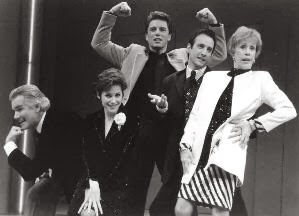 A few years later – when I was in Thoroughly Modern Millie and Cabaret, there were huge teenage audiences for Broadway shows – much due to the success of the Disney Shows. And then Universal Pictures, Sony and Dreamworks followed – bringing properties they owned to Broadway. People complain that musicals are all based on movies these days – but in all eras of Broadway, shows have been based on other materials. Earlier it was plays and novels, because the movies were such a young medium. And now there are lots of movies that are good to base musicals from. Did you leave theatre behind to bring up your children? We have missed seeing you onstage. For me, I transitioned. I now travel the world with symphony orchestras and 75% of the time I’m able to be a stay-at-home mom. I do tons of voice work, I’m making the same living, but now I only have to be away from the kids a week a month, and I get to live in California with my vegetable garden. Who are your mentors? Anyone in particular influence your work more than anyone else? Your favorite actors? Tommy Tune was an actual mentor. The people I look up to did not forget their roots: There is Carol Burnett, who I already talked about. Audrey Hepburn and Paul Newman, for example, did a great amount of philanthropic work and helped a lot of people out by using their talents. And I admire that greatly. Sally Bowles in Cabaret. She is a little more complicated. When you play the good girl, they inhibit interesting characteristics, but to play a character that is so flawed, there is a lot you can get out of it. So it was great to play someone so terribly misguided – and I learned a lot from Sam Mendes and Rob Marshall. What role do you long to play? I love originating things, so the role I yearn to play has not been written yet. I also want to develop other parts of my creativity – especially to write, perhaps a novel. It’s a different way of being creative. Who is your favorite composer? Why? Your favorite musical of all time? Why? I love the new stuff. I think about Rent and how it was unfinished (Jonathan Larson died during previews). I would love to know what Howard Ashman would have done, had he lived longer. I love Robert Lopez, Jason Robert Brown, and Georgia Stitt. The difference now is that I am friends with all these people. I was around when Jason Robert Brown wrote The Bridges of Madison County and was working on the funding for it. I know how hard it is to get a show produced and what it takes to get that done. I can’t wait to see who comes next. I get new music sent to me all the time, since I use it my shows, so I get to track their progress. Talk about your recordings. I've heard that The Secret of Happiness is quite special and very different for you. Is that true? Coffee House was special for me. I was playing Millie, from Thoroughly Modern Millie, at night and working on the album during the day. I was listening to Simon & Garfunkel and Cat Stevens. Secret of Happiness is what Belle would sing at age 42, after the happily-ever-after ending. Life is complicated and it isn’t what you’d expect it to be. The album has songs by Georgia Stitt and Jason Robert Brown that are brand new. One song is from Daddy Long Legs, which will hit Broadway in about a year. I loved doing it. This album is special – but they are all special. Every album is a child you think a lot about raising and nurturing. 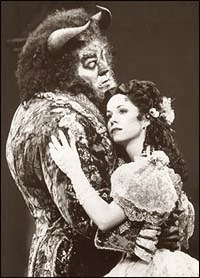 Go see the amazing Belle, I mean, the incredible Susan Egan sing on Saturday, March 1. Tickets, available online by visiting www.Arcadiapaf.org, are $29.50, $39.50, and $59.50; senior, student, and family 4-pack pricing are also available. The theatre is at 188 Campus Drive at North Santa Anita Avenue, Arcadia CA 91007. For more information please call 626-821-1781. Tony nominated actress Hannah Yelland is about to make her Los Angeles debut in the stage version of Noel Coward's Brief Encounter, the role which garnered her a Tony nomination in 2011. The classically trained actress talks about the role and how she feels about opening in Los Angeles. Do you find playing the role of Laura in Brief Encounter quite challenging? Did you see the film with Celia Johnson? I know some actors prefer not to watch so that they are not influenced by a film performance. How did you approach this, with or without seeing it? Also, some actors find LA a daunting experience for theatre. What is your attitude? It is challenging- but in a great way. The way that this show was created means that I employ many different skills as an actor- playing the period and observing the style of the original play, but also getting the chance to sing, dance, fly (yes, fly- must be seen to be believed!) I've seen the film now many times, but when I first got cast, I purposely didn't want to watch it as I wanted to discover my own version of the character. I've since watched it and I think, without realizing, have integrated a few things from Celia Johnson's beautiful performance. This is my first time appearing in a play in LA, so I'm afraid I don't know yet! I hope it's not too daunting. Just adrenalising! I think it's wonderful that your director is a woman. There's a feminine sensitivity about the whole piece. Tell me a few of your ideas on this subject. It's really wonderful to be directed by Emma (Rice). This piece for her is so special, and I truly feel honored to have had this opportunity to be in this production and for so long. There is definitely a sensitivity to the piece, but there is also a tremendous sense of fun; it has such life and vigour. Emma is brilliant at retaining that sense of fun, while at the same time retaining the inherent tragedy of the piece, the longing between the lovers, the passion and frustration which co-exist at every moment. Without spoiling anything, can you tell us about how the music and film are used in the staging of this piece? I'm not sure I can without spoiling anything actually! I'll try... The film of Brief Encounter was based on Coward's one act play Still Life which he wrote a few years before the film script. Emma's concept for the piece was to combine live theatre and film in order to, in a sense, honor both the original play and the film. Our piece is a kind of love story written by Noel Coward, of course, but also a love letter TO Noel Coward, as it includes some of his original songs which have been more specifically worked into the fabric of the production, as 'monologues' for some of the characters. So our production, though it completely follows and respects Coward's script and story, is also Coward 'turned inside out' in a way- the emotions which are so repressed, are at times allowed to explode and be fully lived and breathed in a more physical and sensory way. You have had quite a wonderful background in theatre. Tell me about your experience with The Life and Adventures of Nicholas Nickleby. I worked on the show over the course of two years back in 2006-8. The production started at the Chichester Festival Theatre in England. My father, David, played Ralph Nickleby in the second incarnation which we took to the West End and then to Toronto during 2007-8. It was a very special time for me to work with my Dad. Something I would dearly love to do again. I played his niece, Kate Nickleby, which was obviously a little confusing at first- calling my father 'Uncle'...But it's a marathon. Six hours of Dickens. But it was so beautiful. The audiences who saw the two plays in the same day felt like they had been on a real journey with the characters- they became so invested. And it was magical. I think, if I remember correctly, 27 actors played 54 parts or something insane like that! How was your experience with My Cousin Rachel? Originally I was thought to be too young to play Rachel, the part which Olivia de Havilland played in the original film with Richard Burton. But then finally, and quite unexpectedly, I was called and asked to come to Dublin to do it. The theatre and the director took a chance on me having seen my work in other things, and I have so much respect for them for that. It was brilliant timing because shortly before I got the call, my husband was called to deploy to Afghanistan with the Navy and I was facing a four month stretch without him. It was a fateful opportunity. I loved playing that role- an Italian Countess- not natural casting for me, but it was a great time. I'm doing the part again later this year at the Spoleto Festival in Charleston. And most recently with The Winter's Tale? I had a great experience working on The Winter's Tale. I wanted the challenge of playing Hermione, as she is so crucial to the play, but only has a few scenes early on in the play to really make an impression. And some of the language she has is some of the most beautiful ever written by Shakespeare, I think. I worked with Mark Harelik, who was wonderful as King Leontes, and it was a great privilege. We had a fantastic time. Do you have a favorite play or playwright? If so, why that choice? That's hard to answer. My immediate response would be Death of a Salesman by Arthur Miller. For some reason- I must have seen it at a particularly impressionable age or something- it really got into me. I also love Chekhov. I have seen a number of productions over the years, but most recently saw a wonderful production of Uncle Vanya in London in which my father played Serebryakov, and was, although of course I'm biased (!) truly brilliant. The whole production was so beautifully acted. I'm so interested in the idea, as an actor, in the fine line between, and crossover of happiness and despair; joy and pain, finding humor in tragedy and sadness in humor... Chekhov's characters are so rich and complicated- as are Coward's. Do you have a mentor or is there an actress/actor who has greatly motivated your work? I love learning from people I work with. But of course then there are people who have particular strengths in some kinds of work, and other people in another kind of work. As a screen actress, I admire Meryl Streep enormously. And also Cate Blanchett. Both of these actresses are so graceful, I mean there's great grace in their work. Whatever they do has so much depth and honesty. Is there a role or two that you are yearning to play? Which ones? I always think that's a strange question, because often I've thought of parts I'd like to play and they haven't come my way, but then I've found myself being cast in something that I wouldn't have seen myself doing and have loved it. I honestly take things as they present themselves to me. But off the top of my head- I'd like to do something complicated and challenging (of course)- Lady Macbeth perhaps? That'd be fantastic. With working on the West End and Dublin stages and now in America, how would you compare working in both venues? That may refer to both conditions for the actor and the audiences as well. We hear that theatre is of course more serious there as opposed to here. Do you find that true? I'm not sure that's true. I think theatre people take theatre seriously wherever it is, and there is so much incredible work happening everywhere all the time. I just feel really lucky, I really do, that I have been able to work in these three places, and in other places, too. That is one of the best things about theatre- we are pretty much the same 'creatures' wherever we are! I'm sure I'm going to find that it's the same here in LA. But the Guinness is definitely better in Dublin...and the weather is definitely better here! Don't miss Hannah Yelland in Brief Encounter at the Wallis Annenberg Theatre in Beverly Hills.